These trees had only been in the ground approximately four hours when the photographs were taken. This view was taken from the southeast facing northwest at approximately 4:30 PM on Monday, April 7, 2008. 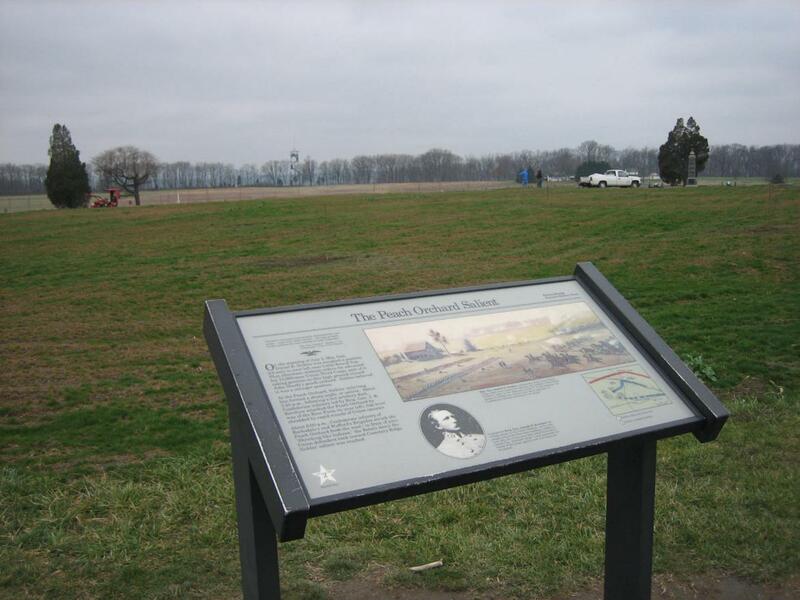 On a cloudy Monday, the Star and Banner again visited Joseph Sherfy’s Peach Orchard at Gettysburg National Military Park to check on the rehabilitation efforts. We were pleasantly surprised to see that the Peach Trees have finally returned. The gentlemen working at the site said they had been there since around 12:00 PM today. 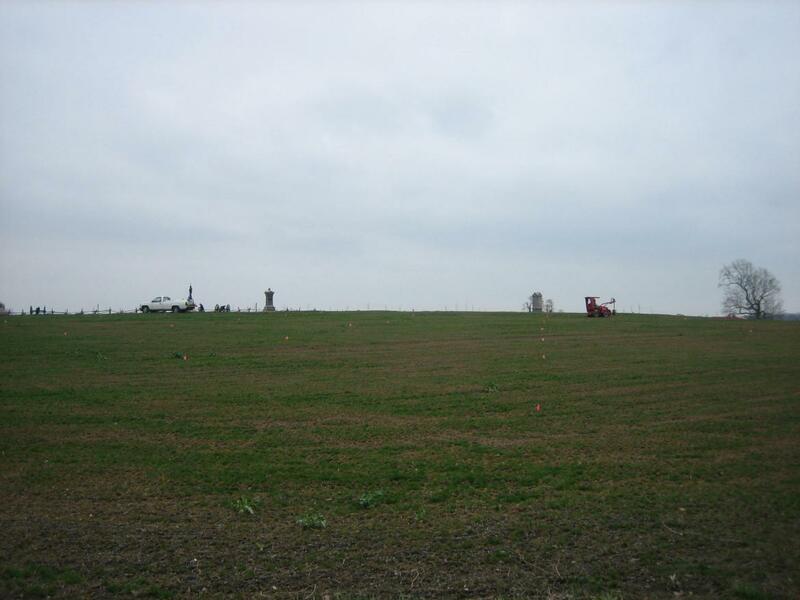 We counted approximately 70 trees that have been planted with about 50 to go. 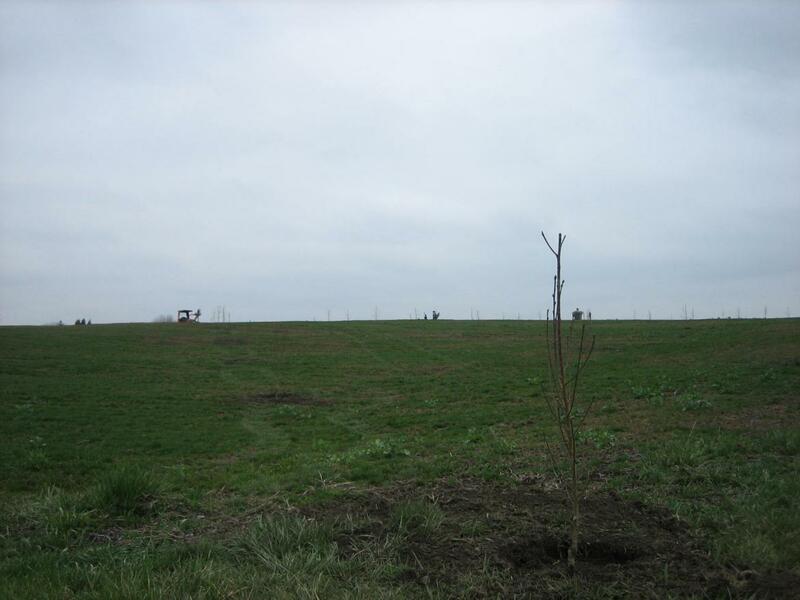 Most of the trees had been planted in the north and east sections of the orchard. 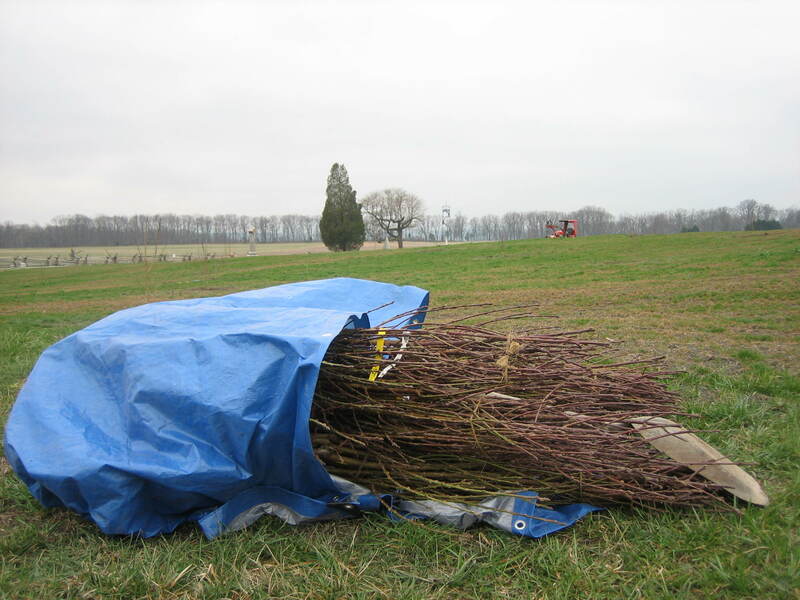 See a previous post on the Sherfy Peach Orchard on April 4, 2008. See a post on the Forney Ridge Apple Orchard on August 26, 2008. The wayside exhibit with new peach trees and the workers with their equipment in the background. In the center distance is the Eisenhower/Longstreet Tower on Seminary/Warfield Ridge. This view was taken from the northeast facing southwest at approximately 4:30 PM on Monday, April 7, 2008. 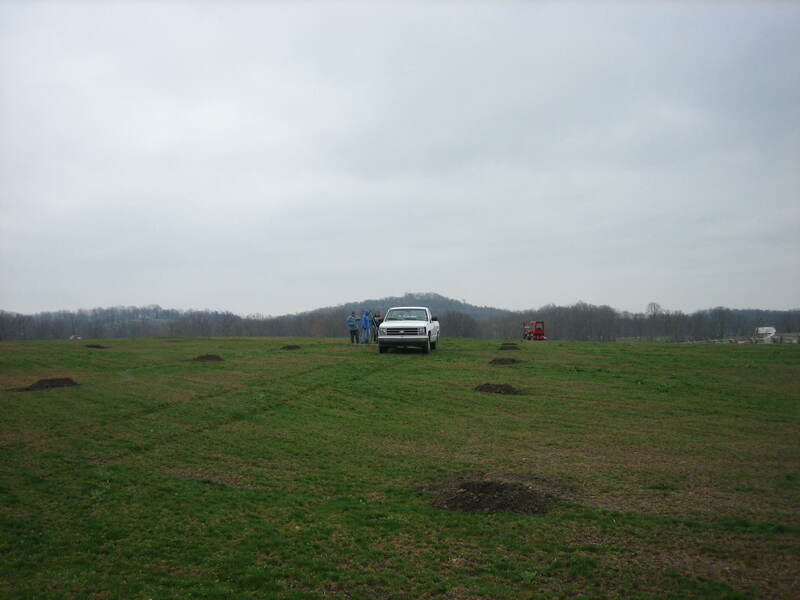 Holes awaiting the peach trees in the northwest section of the peach orchard. Big Round Top is in the center background, above the white pickup truck, and Little Round Top is to Big Round Top’s left. View from the northeast looking southwest at approximately 4:30 PM on Monday, April 7, 2008. A bundle of peach trees waiting to be planted on the east side of the orchard. View is from the east facing west at approximately 4:30 PM on Monday, April 7, 2008. The orange flags mark the locations where the holes are to be dug and the trees are to be planted. Most of the work left is on the south and west sides of the orchard. This view was taken from the south facing north at approximately 4:30 PM on Monday, April 7, 2008.